I’m fascinated by High School Musical 2, not because it’s a particularly deep movie but because I absolutely love it. By all rights, I should hate it. It’s a TV movie that bridges the gap between two utterly forgettable (if not terrible) films: High School Musical 1 and 3. And yet, even though I would never willingly watch the other two movies in this series, I actively seek out High School Musical 2 to watch for the sheer enjoyment of it. 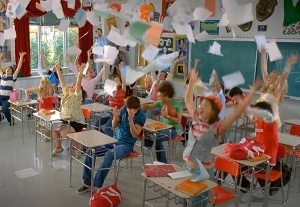 I touched on this briefly in my tongue-in-cheek article, “10 Movies I Wish I Didn’t Like.” Now it’s time to go in depth on what makes High School Musical 2 such a pleasant surprise. High School Musical 2 has 11 original songs, and every one of them is amazing. The film is bookended by its two most energetic songs, “What Time Is It?” and “All for One.” The first time I (grudgingly) saw this movie, I couldn’t help loving the opening musical number. The dancing is terrific and the music and lyrics are full of boundless optimism. I realized that all of this is supposed to be symbolic. No one literally choreographs dances on the last day of school, but everyone feels the sense of elation that these dance moves and lyrics convey. 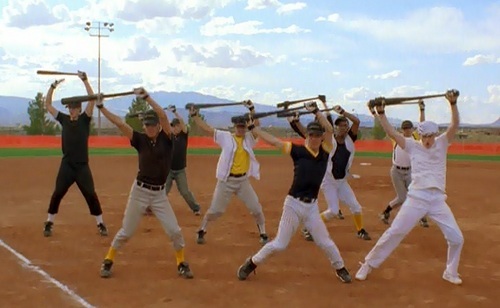 Later, we get another song-and-dance routine with a whole bunch of baseball players singing about the fact that they don’t dance. The first High School Musical threw me into an existential quandary with its song entitled “Get’cha Head in the Game.” That was about a bunch of basketball players singing that they don’t sing, but they need to focus on basketball. That is such a trippy scene to me. How can they be singing about not singing? But for some reason I don’t have a problem with High School Musical 2’s “I Don’t Dance.” I think it’s because that song is a conversation between two people with opposing points of view on dancing, with one trying to convince the other that baseball moves can be seen as a type of dance. It’s clever and fun, and it helps that the tune is quite catchy. Seriously, every song in this film’s soundtrack is perfect. And they all serve a functional purpose within the story. Most of them even end with a decision being reached, and they actually show us something new about the characters. These are extraordinary feats that few films attain. The first High School Musical has a simple message: don’t let people label you. Basketball players can sing, bake, be smart, and do anything else they want. The second film is a bit more complex. It takes time to develop its characters beyond their silly labels and roles. The antagonist, a would-be diva named Sharpay, tries to manipulate the main character, Troy, into being hers. She’s not just interested in preserving the status quo, like she was in the first film, but she’s actively trying to disrupt it. 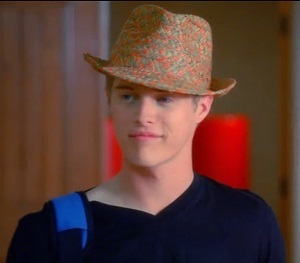 Her brother, Ryan, steps out from Sharpay’s shadow and shows that he’s a truly interesting character. He’s the real brains of his family’s operations, and he leaves his usual group of friends and makes new alliances. Also, the put-upon piano player finally develops a voice and stands up for herself a bit. Just about everyone gets some much-needed attention in this movie. The first movie is still terrible, but now I’m glad I know the characters it created a little bit better. What is really at stake in this movie? Sharpay is scheming purely to break up two lovebirds so she can get the boy to love her. She throws all the weight of her parents’ influence over a resort and a local college behind her effort to win Troy’s affections. She also does her best to sabotage her fellow high schoolers’ attempt to win a club talent show. That’s all the conflict to be found in this movie. And yet it somehow really resonates with me. Troy gets tempted with security during a vulnerable time in his life. He’s approaching his senior year of high school when the world feels full of possibilities and dangers. He feels excited by all the attention he’s getting from important people, but he feels like that won’t change him as a person. At no point does he show the least bit of interest in Sharpay romantically. But he does start to push his friends away, subconsciously at first, and then overtly later. His descent and return to goodness are handled well. The story may not have terribly high stakes, but it acknowledges that fact and embraces what it is in a way that the other two films in this series failed to do. It’s just having fun and along the way it manages to have a few surprisingly poignant moments, like when Gabriella leaves Troy, and when Troy realizes what he needs to do to change for the better. For some reason, this movie casts the perfect spell over me to make me fully invested in this film’s conflict and resolution. I’m a sucker for bad guys with redeeming qualities. Whether it’s Jack Sparrow in Pirates of the Caribbean or Darth Vader in Return of the Jedi, I like to see them do something to show they’re not really all that bad. 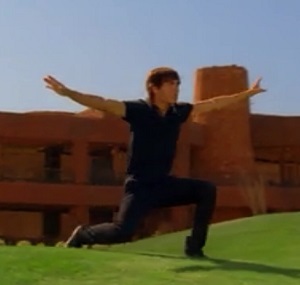 I don’t think High School Musical 2 is anywhere close to the same level as those films, but it does have some great moments that make us like the antagonists in an odd way. At that moment, I love Mr. Fulton. He’s just laid all of his motivations on the table and stripped himself of all pretense. We see that he really is a good guy, and he’s just trying to appease a crazy teenager whose whims change every hour while attempting to preserve his own sanity. Sharpay gets her own moment of greatness, too. She’s been hogging the spotlight the whole movie. Self-gratification has been her entire focus. But in the end, right when she’s about to be awarded a trophy at the talent show (which she always wins), she graciously gives it away to her brother. Sometimes you can find gems hidden in the most unlikely places. Who knew that a series called something as generic as “High School Musical” could lead to such a wonderful movie as this? I still don’t know exactly what the magic bullet is that makes High School Musical 2 such a crowd pleaser. All I know is that this is a movie that I am so glad I watched, and I highly recommend it to anyone who wants to enjoy incredible music, likable characters, and a whole lot of good, clean fun. This entry was posted in Pleasant Surprises and tagged comedy, disney, film score, films, fun, funny, high school musical, humor, movie review, movies, music, relationships, romance, songs, soundtrack. Bookmark the permalink. If you liked this, go to see the brazilian version http://www.youtube.com/watch?v=vISuULpIZcw . There is no samba or Brazilian Wax references, but the good guy is soccer player.